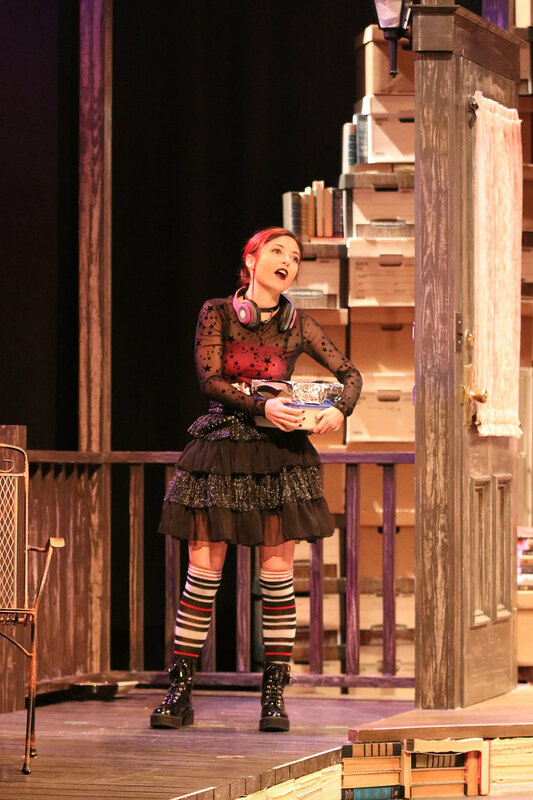 "The Escape Thingy" is a Semifinalist for The Garry Marshall Theatre New Works Festival! In its very first year, The Garry Marshall Theatre New Works Festival selected my new play "The Escape Thingy" as one of the Semifinalists! 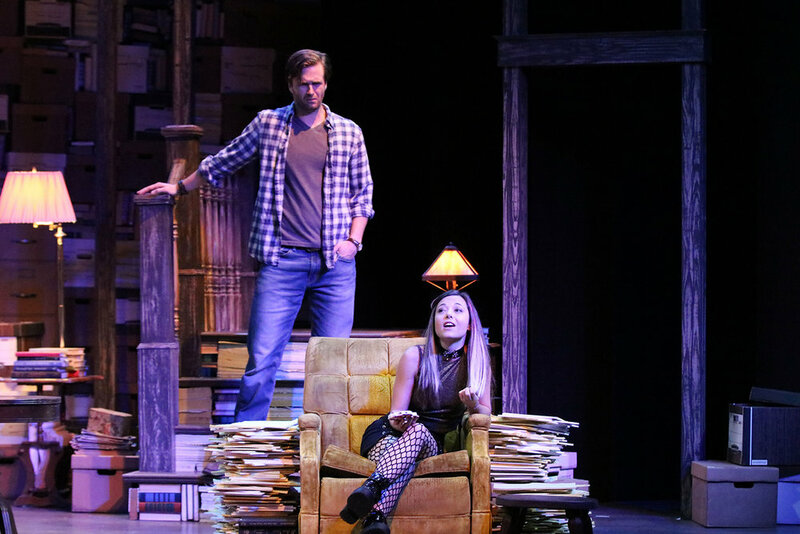 This new play, written as part of the Playwrights Union New Play Challenge 2017, was a Finalist for the 2018-2019 Reva Shiner Comedy Award, and is also a Semifinalist for the 2018 Ashland New Play Festival and the 2018 Bay Area Playwrights Festival. On NPR Radio Show "Says You!" This Weekend! Take a listen to your local NPR station's broadcast of the radio quiz show "Says You!" this weekend and listen for me. I was so honored and thrilled to be included as a panelist when the brain-teasing radio program taped two episodes in Monterey, CA earlier this year. It was SO FUN to participate in front of such a huge and wonderful crowd. If the show is not carried in your area, you'll be able to check out the podcast starting April 14. I'll provide a link here when it's up. Meanwhile, check your local NPR radio listings for "Says You!" starting today or find out more at www.saysyouradio.com. The opening of the World Premiere of "Miss Keller Has No Second Book" at Gulfshore Playhouse in Naples, FL was wonderful. The design team created a magical world full of haunting original music and breathtaking sets, lights, and costumes. The crew -- both backstage and front of house -- were as professional as they were fun to hang out with. And the entire cast (Amy Van Nostrand, Maureen Silliman, Alex Grubbs, James Lloyd Reynolds, and Hannah Mae Sturges), led by director Emilie Beck, was outstanding. All that was just my "review," simply as the person who wrote the thing. 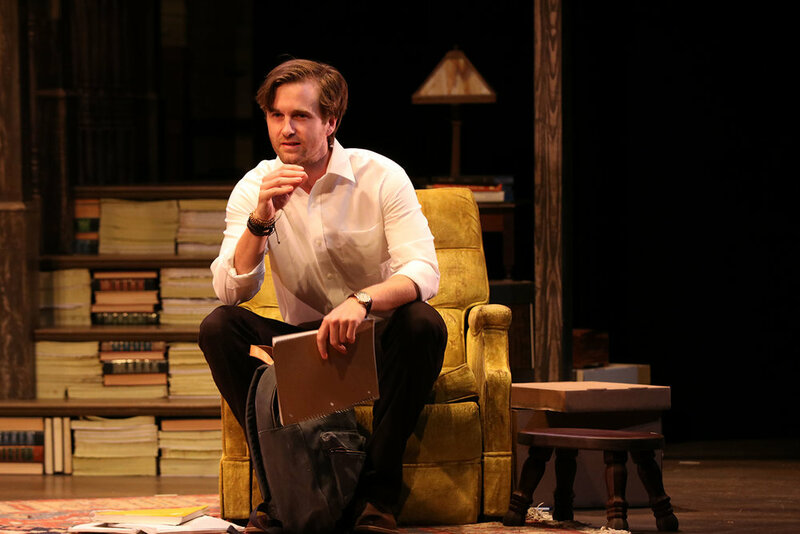 Here's what Florida Weekly had to say: “'Miss Keller Has No Second Book' is one of those rare things in theater: a new play that works on all levels, has a superlative cast and grabs your heart and won’t let go." 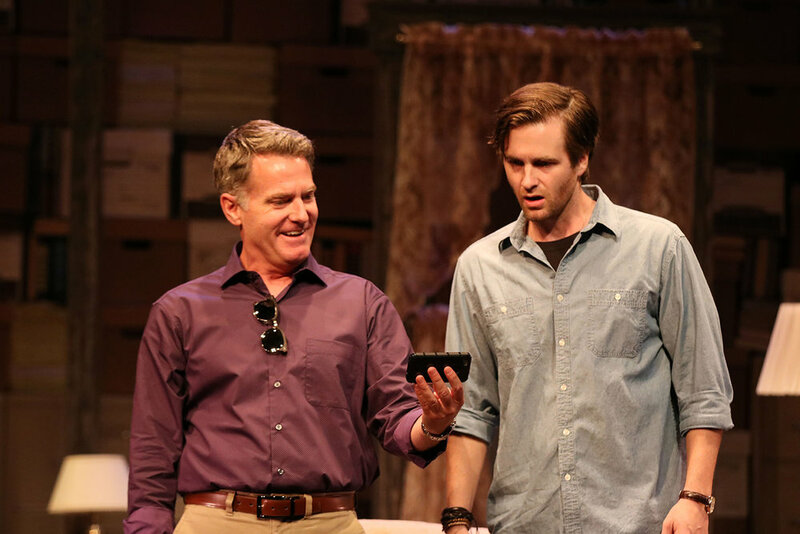 BroadwayWorld says our show "is most definitely a premiere you will not want to miss." Naples Daily News says "riveting as well as enlightening." I couldn't be more proud of this show. 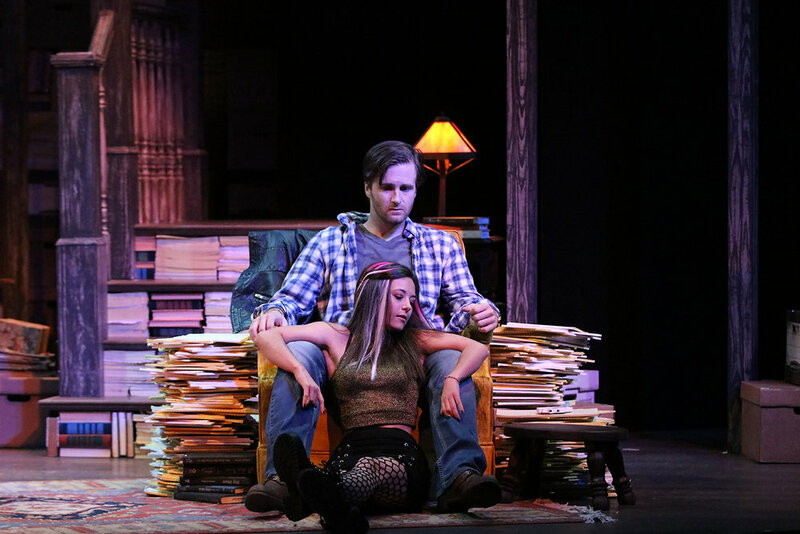 This production runs until April 15. Tickets and more info available here. I'm such a lucky playwright to have these amazing artists bring my play to the stage for the first time. 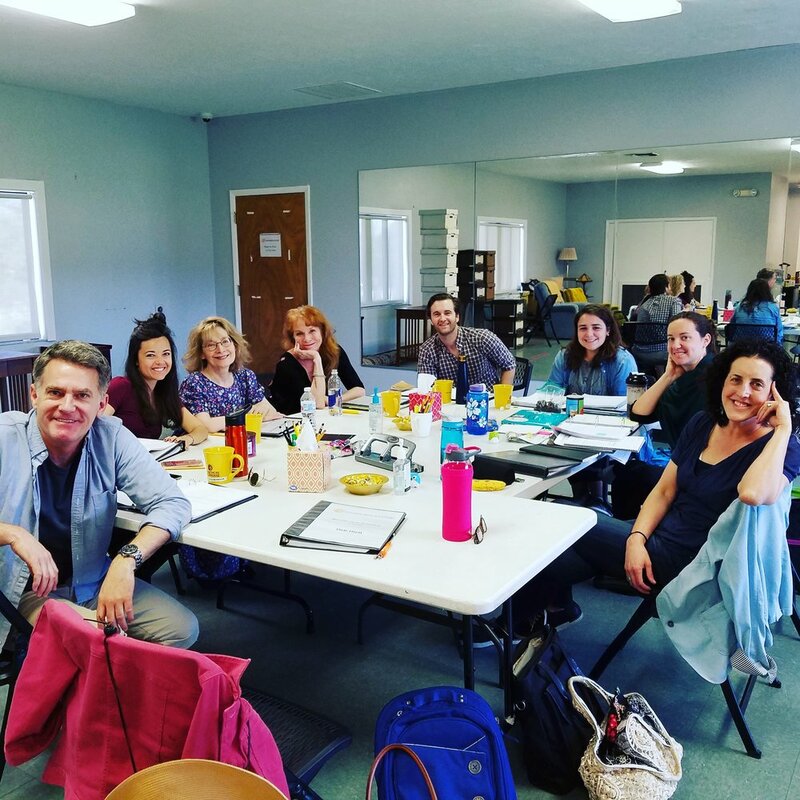 Gulfshore Playhouse, in Naples, FL, brought these actors (and our director) in from New York City and Los Angeles, to work with the amazing GP staff. In the photo above: Actors (L to R) James Lloyd Reynolds, Hannah Mae Sturges, Maureen Silliman, Amy Van Nostrand, Alex Grubbs; Production Assistant Morgan Taylor; Stage Manager Jamie Eckhold, and Director Emilie Beck. Is it weird that every play I've had produced features at least one beat-up recliner? IS THAT WEIRD? So thrilled that my new play "The Escape Thingy" is a Semifinalist in the prestigious Bay Area Playwrights Festival. I'm honored to be selected among over the 700 submissions for their 41st annual festival. I have also been entered into the BAPF pool of writers that are considered for the other developmental opportunities at Playwrights Foundation, including their monthly Rough Reading Series. Appearing on FX's "Baskets" Tuesday March 6! Check your local listings for FX's "Baskets" next week -- I'll be appearing in the "Woman's Conference" episode. SUCH fun working with the generous and kind Louie Anderson. And wonderful to meet Jackie Garcia (playing "Jan") as well as these two talented gentlemen. You can see the clips on my updated acting reel HERE. Clearly, it's a very difficult job, but somebody has to do it. So excited to be a panelist on the public radio show "Says You!" on Sunday, Feb 18! I LOVE games, and word games especially. Here's the description from the show's website: "Take one word, add two teams, create three definitions and throw in a live audience. And, that’s Says You! – the last word in radio quiz shows since 1996. If you could play badminton with words, it would sound much like Says You!" Wish me luck! I plan to sleep on my dictionary the night before so that I'll be prepared. I am quite sure that will yield excellent results. NYC Casting for My New Play "Miss Keller Has No Second Book"
Met so many wonderful, talented, generous actors and actresses while in New York and casting for the world premiere of "Miss Keller Has No Second Book." It was a fast trip made easy by the amazing casting director Michael Cassara and his team. Looking forward to getting into rehearsals in early March at Gulfshore Playhouse in Naples, FL, with our opening night set for March 31. Thanks to all who auditioned for us!